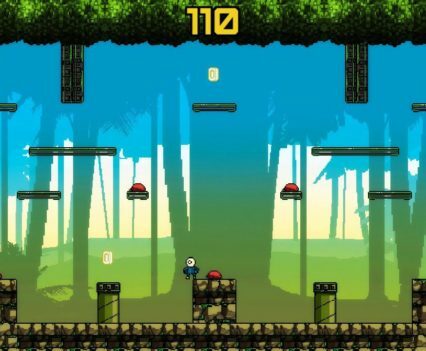 Unit 4 is a fast-paced platformer with unique gameplay mechanics which the title of the game immediately hints at; four characters, each with unique abilities that can be swapped at any time during gameplay. 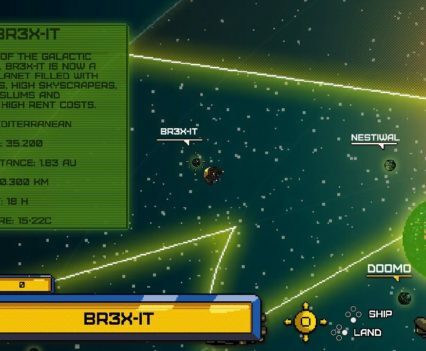 It’s a game set in space, which makes selecting a level feel interesting. Its retro aesthetic will please any fan of gaming days gone by and controlling the characters feels highly responsive, even if it is a tiny bit on the sensitive side. The game lends well to player control in general though, meaning if you die, it’s usually your own fault. It’s an attribute essential for any game, especially when it comes to 2D platforming. There is the odd niggle weaved into the game, but it by no means really impacts the game that negatively. Some obstacles blend that well into the dynamic backgrounds that they can be hard to distinguish, so it can be difficult to notice spiked platforms that you will encounter, so those sorts of elements could have been a little more obvious. 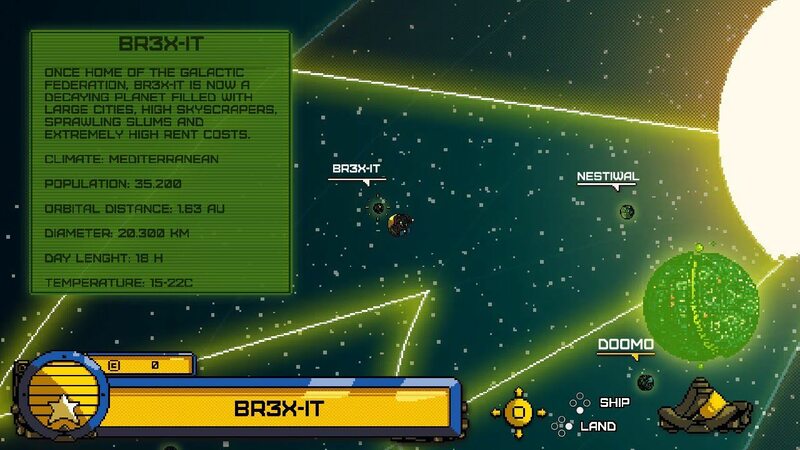 Not only is the game set in space, there’s even a reference to Brexit it seems! Minor gameplay gripes include the blue character who likes to hug walls before wall jumping – this can accidentally send you to your death at times so it takes a bit of adaptation. 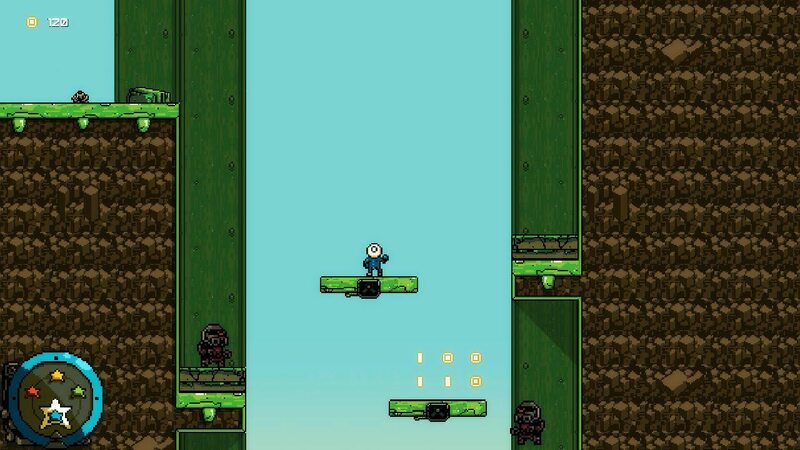 The wall jumping works well generally, it’s just a bit strange to have to hold in a button in order to slide down a wall and prep your jump, while the affinity for the character to hug any platform they touch sideways during a jump can slightly disrupt your gameplay rhythm. Again, it’s a small niggle, but only because your quest will expect you to change characters and perform maneuvers at a moment’s notice in order to pass an obstacle by. 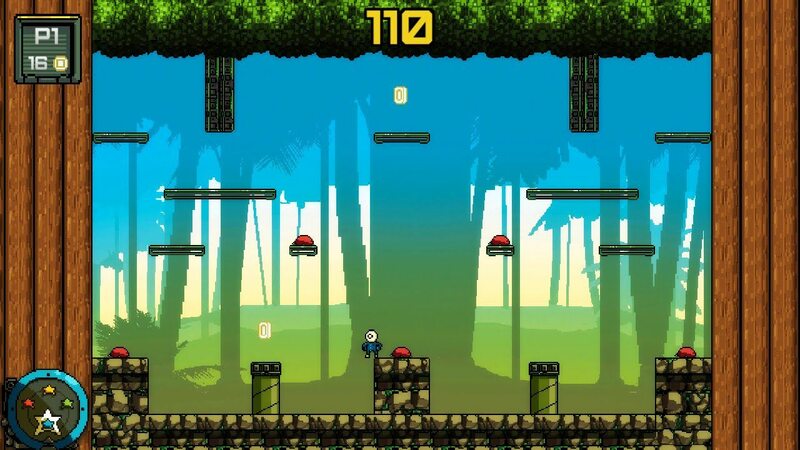 There are four characters, a blue one which can double jump (using a separate button for the second jump which feels a little unnecessary) and wall jump, a red one which can barge large objects and enemies at high speed over a short distance, and a yellow fellow having cool abilities such as being able to merge into objects and enemies, float slowly from a height or pass through some obstacles as if invisible with an ability called ‘Ghost Flight’. The final green character is centered around a mechanic which is reminiscent of the Hookshot weapon fans of the Legend of Zelda franchise will likely be no stranger to. However, standing still and not having the elongation tool going in the sideways direction that your character is facing feels a little bizarre, but other than that it works and feels fantastic, especially on moving platforms or to kill enemies. The character switching mechanic is fun, but it takes a small learning curve to memorise exactly how many taps of the left or right shoulder button it is in order to get your desired character to overcome the challenges ahead of you in a swift fashion, simply because the characters are selected on a dial with the shoulder buttons. It almost feels like they would be perfectly suited to be allocated to a directional button each, but players will appreciate that this wouldn’t work with just one Joy-Con, enabling a less than ideal transition in a game that feels meant to be played in the form of local multiplayer. 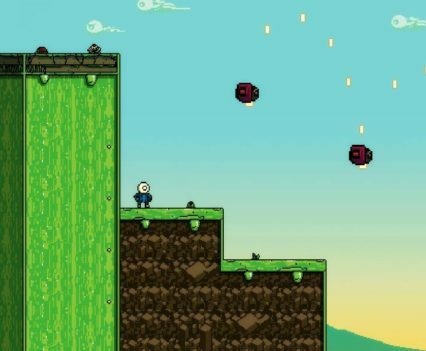 Admittedly local multiplayer was regretfully not able to be tried out in this review, but the hypothesis tends to be that the distinctive character abilities would provide an enjoyable and somewhat chaotic experience. 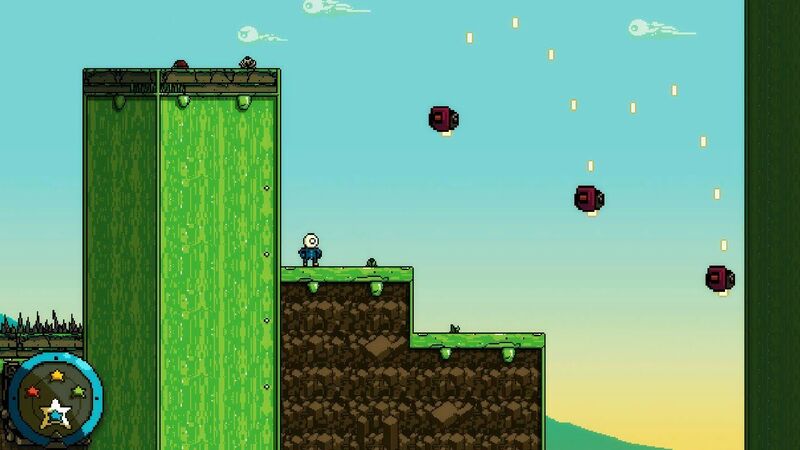 Generally, the platforming feels fast and fun, but at times you will need to slow way down and take your time, especially when death sends you back to a checkpoint which can feel a little bit distant. This may put players off from trying something new or risky the next time you reach the point you died at. Death doesn’t feel overly punishing and results only in the loss of coins, which works in contemporary gaming, but the disappointing aspect of it here is that it can potentially discourage players from exploring more, in a game that is littered with interesting points you feel compelled to delve into. 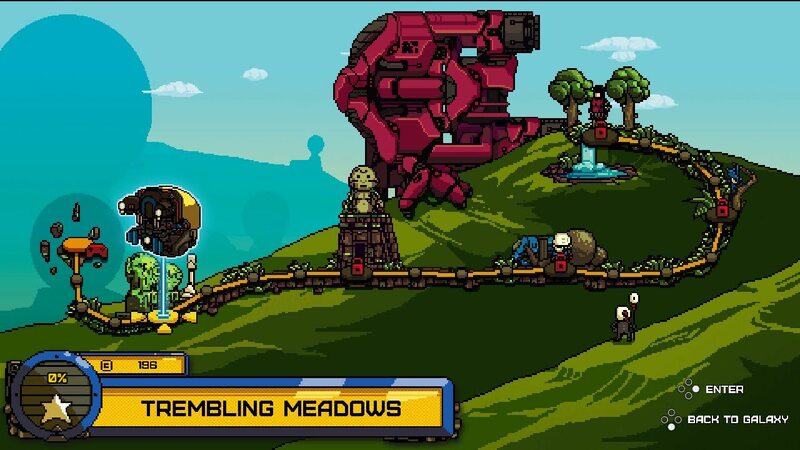 More skillful players will be spoilt for choice in exploring the levels for all they have to offer with particularly commendable level design for the most part. These minus points are something to take note of though. They intertwine with the risky game this title plays with in terms of risk/reward and incentive to play versus frustration. 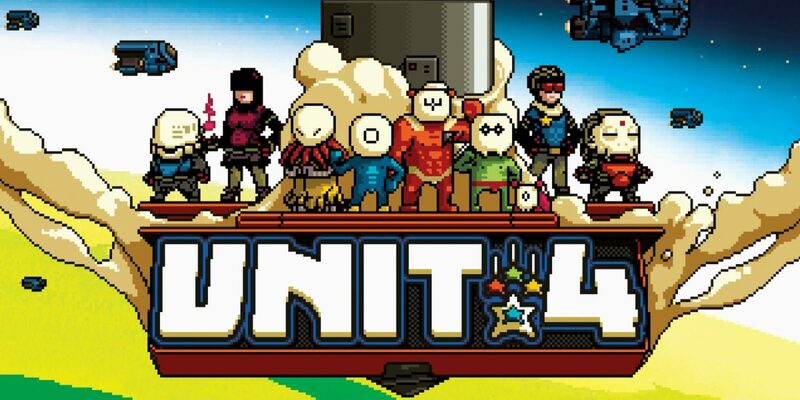 Overall, Unit 4 is a solid game which is easy to understand, making it perfect for up to four-player multiplayer. 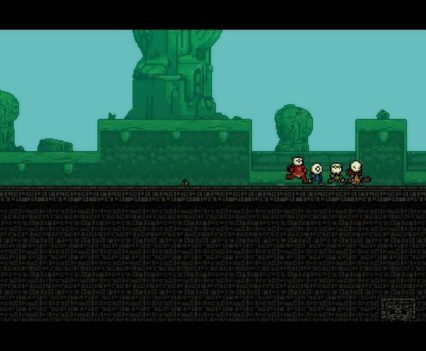 Single player is at its best when you get your head around each character and how to swiftly swap them in order to progress through the levels. The short training level does a fantastic job of helping players understand that from the outset without inducing tedium tutorials are generally renowned for. For $14.99, Unit 4 is a solid game for your collection, and if you’re craving a platformer which is open to cooperation through local multiplayer and you are open to the challenge of learning “impossible tricks” that the game description makes no secret of on Nintendo’s website detailing the game, then you should consider adding Unit 4 to your collection. 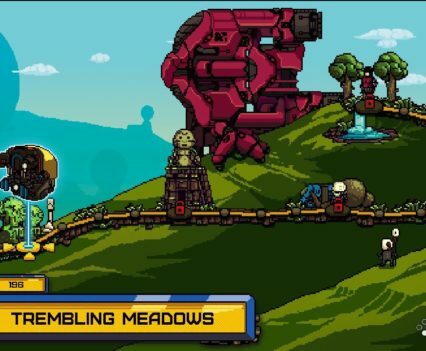 Unit 4 is a game you can pick up and play, but small learning curves are required at times. 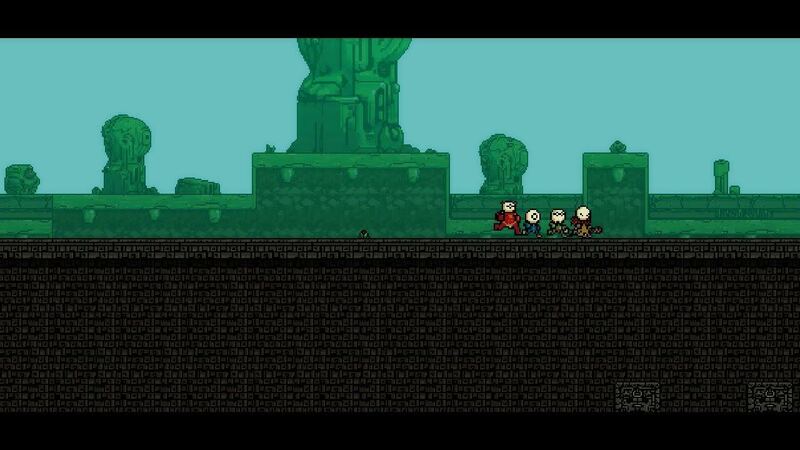 This is mainly because combining your characters is crucial in navigating the challenges the game throws at you. 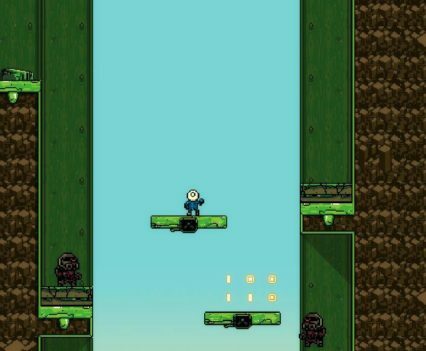 For it to be enjoyed to its fullest, it is a matter of mastering the fun character switching mechanic with a sleight of hand to make the most of this fast-paced platformer. It’s generally going to best served to those with some 2D platforming experience already under their belt.